Home Our Blog What size washing machine do you need? What size washing machine do you need? 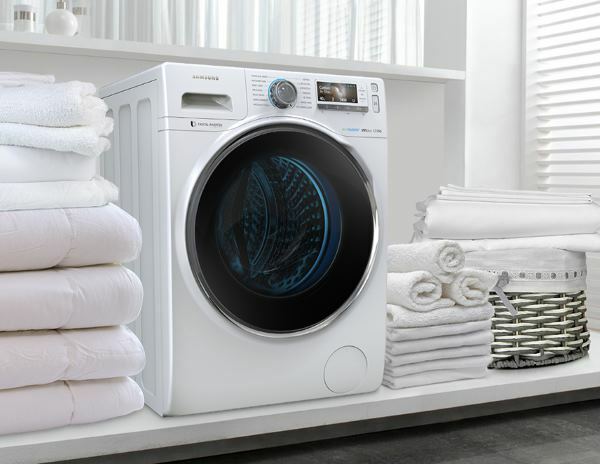 Buying the right size washing machine for your needs definitely makes sound financial sense. If you buy a machine that’s too small you’ll end up doing more loads and in the process using more water and more electricity than strictly necessary. Additionally by running the machine more frequently there will be more wear-and-tear which could shorten the machine’s lifespan. If you buy one that’s larger than you need you’ll probably end up running it half-empty more often than not, once again wasting water and electricity (although a half-load setting will mitigate this to some extent). The flip side of the coin however is the fact that the larger the capacity of the machine, the higher the cost is likely to be to buy it in the first place. When you buy a new machine you’ll have to take both elements into account to decide what will work best for you. Generally speaking a 5-6kg drum is large enough to cope with the needs of 1-2 people, this will wash 25-30 T-Shirts or a single duvet. For a family of 2-3 people you may find a 7kg drum more appropriate. In a 7kg drum you can wash a double duvet or approximately 35 T-Shirts. Economy backfires a little though if you need to wash your delicates as these are generally lighter and a make up smaller load. Larger drum sizes generally have a special wash cycle for bedding, giving more rinses and a longer spin. For a larger family of 3-4 people you may like an 8kg drum which has the capacity to wash a queensize duvet, or perhaps as a medium size family you would find it too large for your needs as washes are variable and smaller loads sometimes necessary when washing your woollens for example. An even larger capacity machine is the 9kg drum suitable for 4-5 people. This will accommodate a king size duvet or 45 T-Shirts. There is no doubt that a family of 5 will generate a lot of washing so being able to put on a large load will save you time loading and unloading as well as saving electricity and water. For larger families (5 people or more) there are the 10kg, 11kg and even 12kg drums (like the monster from Samsung shown above that can wash an entire house in one go. OK that’s an exaggeration but you get the idea). This type of drum can take a large , lined pair of curtains as well as a king size duvet or 55 T-Shirts and it’s nice to know that the larger machines are available, especially if you’re run of your feet with lots of children. We hope the above helps you to decide which size is right for your family the next time you’re in the market for a new machine. Below you’ll find links to some of our recommended models in each of the most popular sizes.